Getting your driving licence can be a long, complicated and expensive business. Our guide can walk you through the whole process. If you want to drive a car, you can apply for a provisional licence 3 months before your 17th birthday. And if you receive your licence in time, you should legally be able to get behind the wheel on your 17th birthday. A provisional licence costs around £50. You'll need to supply the DVLA with a valid form of ID (such as a passport), your residential address for the last three years, and your National Insurance number. Applications can be made via the DVLA using a D1 form. Pick one up from your local post office or online via the Directgov website. It's common for learner drivers to have a mix of professional and private lessons with a friend or relative. While practising your driving with a parent or friend shouldn't be a replacement for professional lessons, it is genuinely helpful. Any extra time spent toward taking your practical test can be a real help. 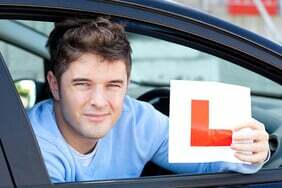 The first step is usually to find a local driving school or independent tutor in your area to book some lessons. 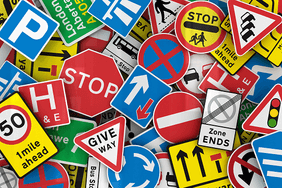 The Directgov website has a handy tool for finding driving schools near you. Although it's by no means comprehensive, so it might be worth asking friends or relatives if they have any recommendations. You must hold a British provisional driving licence. Anyone you practice with must be aged 21 or over and have had (and still does have) a full driving licence for at least three years. You must clearly display 'L' plates on the vehicle you're learning in – or 'L' or 'D' if you live in Wales. You must be insured to drive the vehicle you'll be practising in. The driving test is split into two different sections – one theory-based and one practical. Although you must pass your theory test before you can book the practical test, you're still able to practice your driving before passing the theory test. The theory and practical tests will usually take place at different test centres. To find out where your nearest test centres are, visit the DirectGov website. The theory test is a two part test that tests your knowledge of the Highway Code. It's worth getting hold of a copy of the code and doing your homework before attempting the test. The test currently costs £23 and you can book your test via the Directgov website. 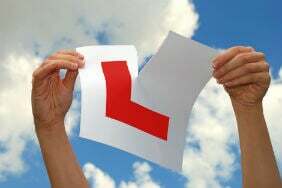 Although if you've chosen to learn with a professional driving school, they should be able to arrange the test for you. A computer-based multiple-choice questionnaire lasting 57 minutes. To pass you need to score at least 43 out of 50. In this test you're shown a series of 14 clips of everyday road scenes in which you must identify the 'developing hazard'. Each clip contains one hazard, but one clip contains two to identify. The earlier you spot hazards, the higher score you receive. To pass you need to score a minimum of 44 out of 75. The Driving Standards Agency has estimated that an average of 45 hours of professional lessons and 22 hours of private practice are needed for learner drivers to pass the practical test. These figures are purely a guide though. Many learner drivers have been known to pass in much less time. Intensive courses can be an option if you're limited for time. The test currently costs £62 if you take it on a weekday or £75 if you choose an evening, weekend or bank holiday. Tests can be booked via the Directgov website. Again, if you have a professional instructor, they may be able to arrange the test for you. a 40-minute driving-ability test that aims to assess your general driving ability (including one manoeuvre - reversing around a corner, turning in the road or reverse parking). 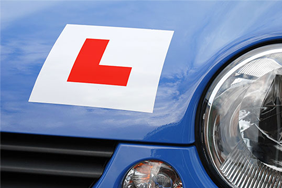 One of the biggest expenses as a learner driver can be lessons, and car insurance that covers you while you learn. While you're learning to drive in your own car or that of a friend or relative, it's a legal requirement to have at least third-party cover in place. When it comes to finding insurance as a learner driver, we've come up with a few different options to choose from. A full-length insurance policy covers you while you learn. It gives you the freedom to choose between comprehensive, third-party and third-party, fire and theft policies. Pick from a wide choice of different insurance providers, including young driver specialists. Find out more about traditional full-length policies by visiting our young driver insurance page. And take a look at our guide for tips for getting a cheaper car insurance quote. If you're driving someone else's car the owner’s no-claims bonus won’t be affected if you need to make a claim. Your cover can start immediately. Just enter the car registration, postcode of where it’s kept and your relationship to the owner to get your quote. With most policies there's no curfew. So you can drive day and night to make sure you get in all the practice you need before your test. Find out more about learner driver insurance by visiting our learner car insurance page. You can fit a small black box to your car that measures how you drive. This creates an opportunity to prove you can drive safely. Your premiums are based on how safe a driver you are, based on the data you supply. This could create a cheaper way to get car insurance if you're safe! To find out more information on telematics, visit our telematics explained page or watch our short video guide. Why are driving test pass rates higher in rural areas? Should new drivers be banned from taking passengers? Are new drivers at greater risk by having their friends in the car? New drivers can often make these common mistakes, make sure you avoid them. From your first lesson to your test, here's our learning to drive walkthrough. Are you more likely to pass your driving test in the sticks? Find out here. New research reveals what motorists really think of impending changes to the UK driving test. Learning to drive? Here are some tips on how to avoid a sizeable dent in your wallet.